Price: Free with paid admission. Admission fee for the day is free for Taltree members, $10 per non-member carload. Back and better than before! Last year, we had a tremendous turn out for our first ever Easter Egg Hunt and are excited to host 3 separate hunts this year. Each child is invited to share in the fun and find 10 eggs! Bring your own basket and let the hunt begin! 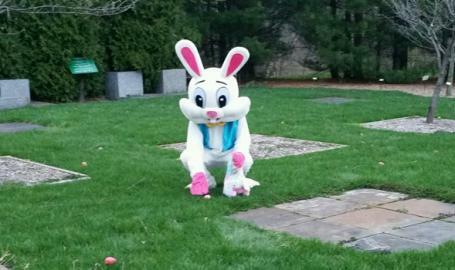 Any day offering photos with the Easter Bunny, park entry is $20/carload! This pricing does not apply to individual admission or members. Advance tickets not required.